Sheffield is one of the UK’s fastest growing and most exciting cities, with Great Central being inspired by this modern city it is set to become a fantastic contemporary addition to the skyline. 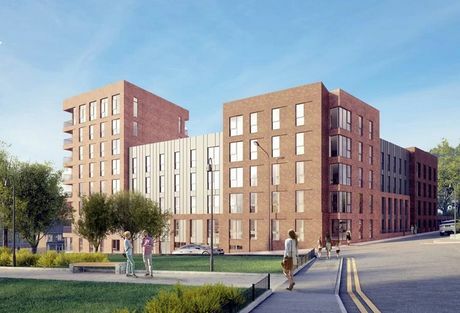 Located less than a mile from Sheffield’s lively city centre and next to the vibrant Kelham Island (the city’s residential hub for young professionals) Great Central’s location is unrivalled and will offer tenants a high-end urban lifestyle near the banks of the River Don. This means there is a variety of amenities on Great Central’s doorstop, alongside the popular local riverside pub and restaurant opposite, which offers stunning waterside views. If you would like more information about Great Central email enquiries@hopwoodhouse.com or call +44 (0) 161 337 3890 to speak to a member of our consultancy team.